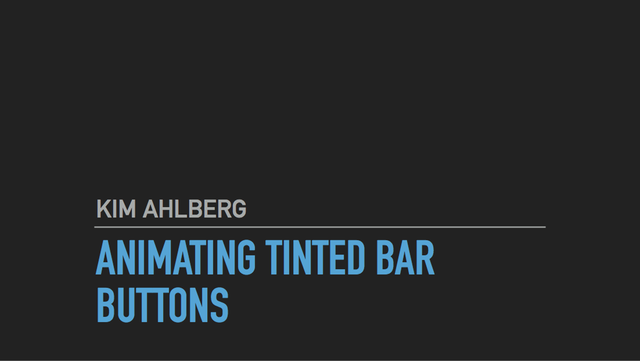 This week I gave a presentation about animating and tinting UIBarButtonItems at the Seattle Xcoders meetup. I've posted the slides and sample code for a simplified version of the demo app to my GitHub page. During the presentation I mentioned I had filed a radar, it is number 23794402 – UIBarButtonItem with animated image doesn't respect tint color.